Privacy, by definition is the quality or state of being free from company or observation. Privacy is something most of us value – especially in this digital age where information about us is so readily available and searchable to anyone with internet connectivity. The introduction of digital network technology into the National Airs Space System (NAS) Traffic Management provides a lot of benefits including more accurate and timely information about aircraft position. This allows for improved utilization of the NAS, increasing both capacity and safety. The heart of the system is Automatic Dependent Surveillance (ADS-B). ADS-B equipped aircraft transmit messages containing information about themselves to both other aircraft and to the ground Air Traffic Control infrastructure. 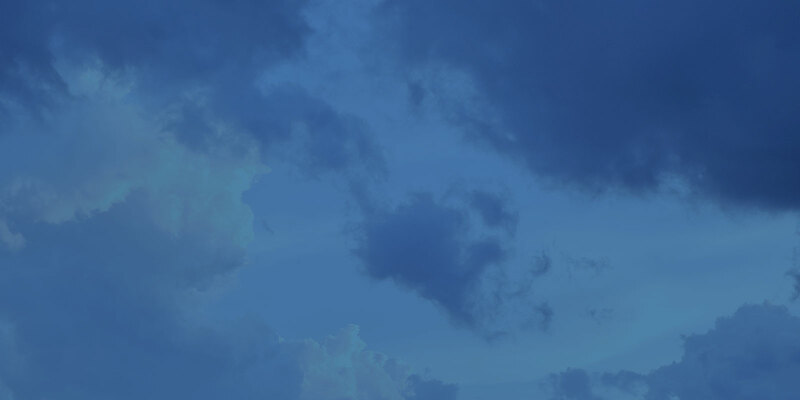 In addition to the basics of position, altitude and velocity, these messages also include identification data, specifically the aircraft’s unique 24-bit identifier or “ICAO code” and flight ID – either a call sign or the N-number. The privacy implications are clear – as we fly, we are telling the world who we are and where we are. But do the advantages of improved airspace utilization and increased safety have to come at the expense of your privacy? Contrary to popular belief the answer is no, they don’t. UAT (978) ADS-B solutions offer privacy for VFR operations below FL180. Whereas Extended Squitter (1090) solutions that are the requirement for use above FL180 and what has become the international standard, do not offer any such privacy. However, for many aircraft this is not a new problem. If an aircraft is equipped with a Mode-S transponder, it has been transmitting ICAO code and flight ID from the day that transponder was installed. For aircraft that fly over FL180, the only option available for ADS-B equipage is a modified Mode S transponder – so ADS-B does not change the privacy picture for these aircraft. For the approximately 150,000 of aircraft that fly below FL180 today, it is a different story. In the majority of these aircraft, the transponder is a Mode A/C Air Traffic Control Radar Beacon System (ATCRBS) transponder. These devices do not report any ICAO code or flight ID data like your N-number. They only transmit the ATC squawk or IDENT which are not tied to your aircraft’s registration or your personal identity. When an aircraft like this equips with ADS-B, the privacy position can change dramatically. With the right equipage choices however, the privacy risk can be completely mitigated. If you are operating below FL180 the question now is, do you equip with 978 UAT or 1090? One of the major differences between the two options is that 978 UAT offers a private operating mode, while the 1090 transponder based solution offers no such protection. This is due to the fact that 978 UAT is a modern, digital datalink, whereas the 1090 transponder based system is, like all transponders, a good old fashioned AM radio. As such 978 UAT has substantially more flexibility. And, as mentioned above, all Mode S transponders send ICAO code and flight ID anyway – so your privacy is already gone once you have one on the aircraft. How does 978 UAT do it differently? The 978 UAT rules allow for an “anonymous” operating mode for aircraft flying VFR, and most avionics manufactures’ equipment support this (but it’s advised to check first – it is the manufacturer option to decides if they want to include this feature). If the option is available, it can be enabled during the installation. When the aircraft is on the ground and during the first few minutes of flight (so ATC can establish a track), the 978 UAT sends out the ICAO code and Flight ID. After that, as long as the squawk is set to “1200,” the 978 UAT automatically scrambles those two fields using a random encoding scheme. ATC is able to maintain track, so you are safely “in the system” but other aircraft and observers on the ground with receivers (like “Flight Radar24”) loses all of the identifying info – with no way to correlate it back to a specific aircraft or aircraft owner. 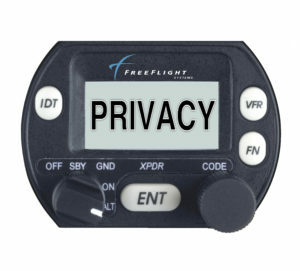 If you value privacy and you are operating below FL180, a 978 UAT ADS-B Out system coupled with a Mode A/C / ATCRBS transponder allows you to fly VFR and remain safely in the ATC system without transmitting identifying info that a third party can pick up. Anonymous mode is just one of the many enhanced feature sets that the 978 UAT datalink offers over 1090. Going with a 978 UAT ADS-B solutions means keeping your transponder and your panel, having an all-in-one ADS-B solution and future-proofing your install with the latest in datalink technology.